Recently, Israel has been facing a growing phenomenon of segregation and marginalization of women rooted in Jewish religious extremism. It has also taken the form of literally erasing women’s images from advertisements, news sites, and public posters. 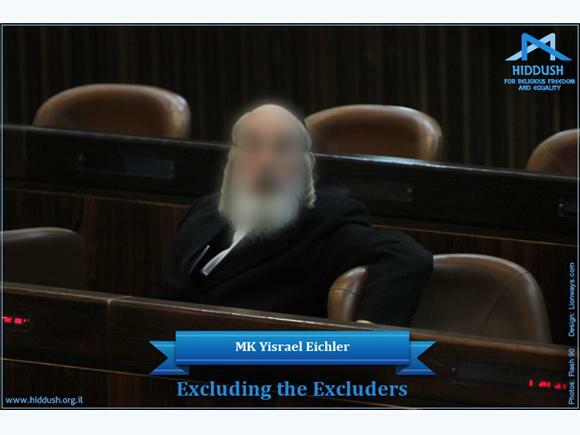 In protest, Hiddush has launched a campaign to “Exclude the Excluders”--Hiddush has blurred the images of Knesset members, ministers, and other ultra-Orthodox men who have supported and aided this exclusion. As women are being blotted out from the public sphere in the name of religious “modesty”, it is critical to protest the deep disrespect of this practice toward women, and toward the community at large. Elected officials are furthering exclusion of women in the public sphere. All politicians in the gallery promote the exclusion of women in the public sphere, either through segregated buses, banning women from singing in public, their role in political parties that will not include women as representatives, or activities that deny women selection for public positions. 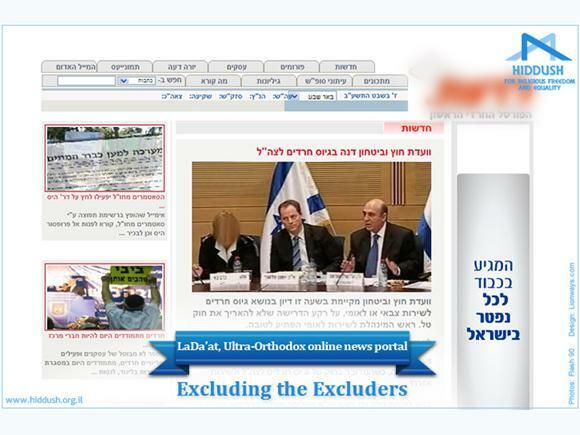 Politicos of the ultra-Orthodox party United Torah Judaism and its news outlets continuously further gender-segregated public bus lines. Their Knesset members leave the Knesset hall when women are singing. 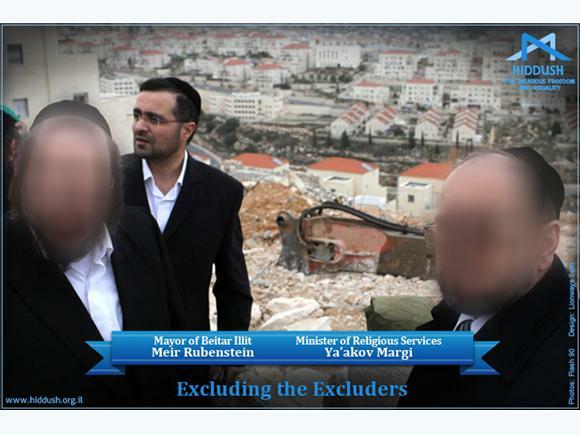 Shas' most recent activity was to prevent representation of women on the nominations committee for religious judges. 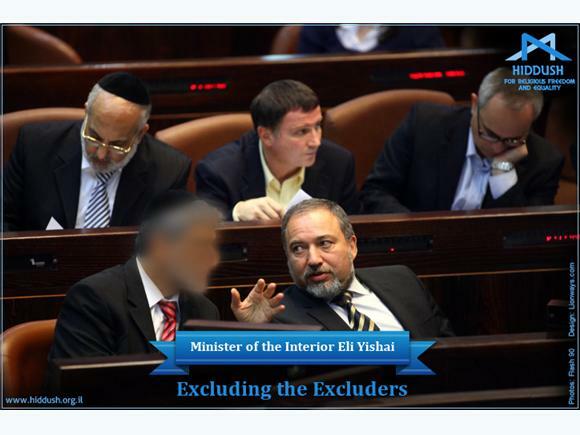 In the years since Shas has controlled the Ministry of Religious Affairs, not a single woman has been appointed to head a religious council. 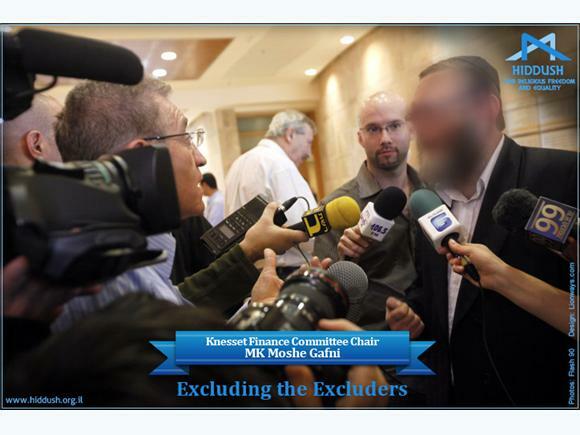 The concept for the gallery is based on ultra-Orthodox news sources such as "LaDa'at" who recently published a picture which included IDF Head of Human Resources, Major General Orna Barbivai, blurring out her face for reasons of "modesty". Many such news sources refuse to publish any image of a woman. 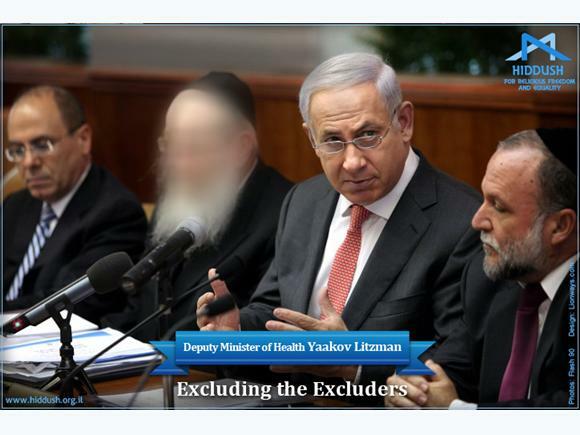 Yated Ne’eman went as far as blurring out the faces of female members of the Israeli Cabinet from the government’s official photograph. 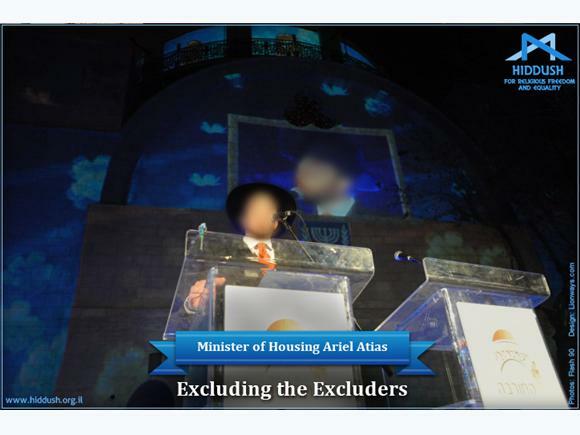 Hiddush Director, Rabbi Uri Regev said "This project is in protest to the exclusion that has become a regular occurrence, and to show that it is possible and necessary to exclude the excluders. Those behind this discrimination of women are not just the individuals who spit on little girls and curse at women on the street, but much of the ultra-Orthodox establishment who give these extremists support and inspiration. 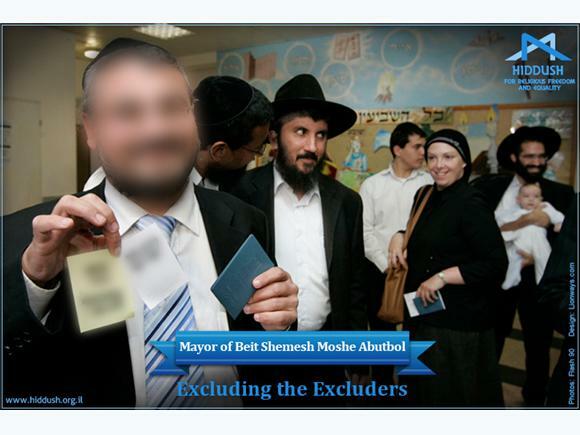 When ultra-Orthodox leadership refuses to include women in roles of leadership, promotes segregated buses and exclusion of women in the media, and discriminated against women in rabbinic courts, they give license to the acts of these extremists.